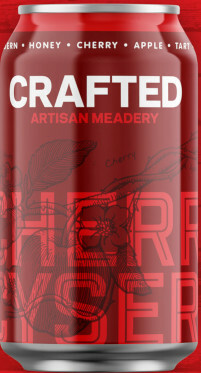 Crafted Artisan Meadery was launched in 2012 in Akron, Ohio with a dedication to producing highly drinkable, modern mead. We take the pre-conceived notion of what mead “is” and throw it out the window by creating mead styles that push the envelope of the category. Gose-inspired Mead? Why not! Bourbon-Barrel Bananas Foster Mead? Sure! Mead that isn’t so sweet that it requires diabetes screening after consumption? You got it! We believe in creativity over tradition. We believe that the quality of the liquid inside our bottles and behind our labels is the most important thing to our customers. We believe you shouldn’t have to donate plasma to afford a great bottle of mead. We believe that opening the door to the mead category to as many people as possible is why we exist and we’re having a blast doing it! We do not produce beer, grape wine or cider. We make modern mead for everyone.